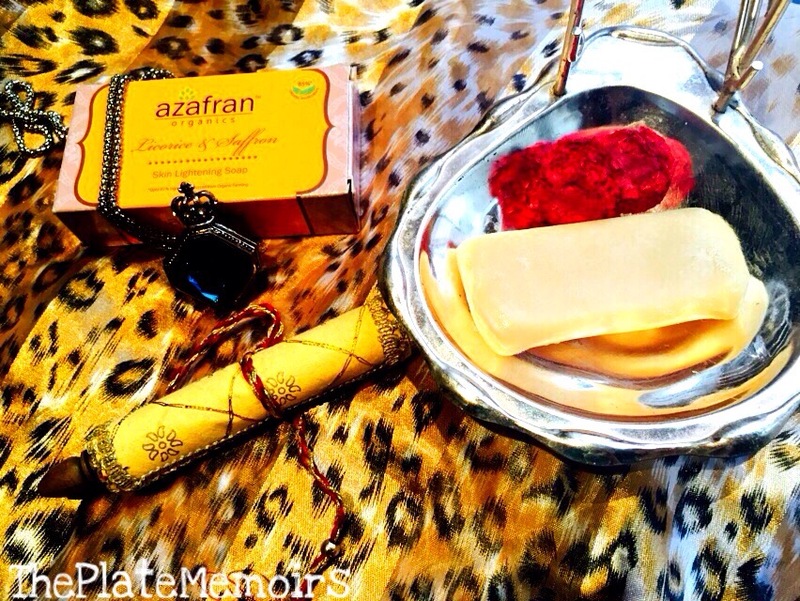 Saffron & Licorice Soap by Azafran Organics- Review. Im a confused lady, when the question is about whether I should use Soaps or Shower Gels. With ads popping up on your TV screen every other day, it becomes impossible to remain faithful to one. Sometimes Soap is all that I need & sometimes it’s those shower gels that make me happy. 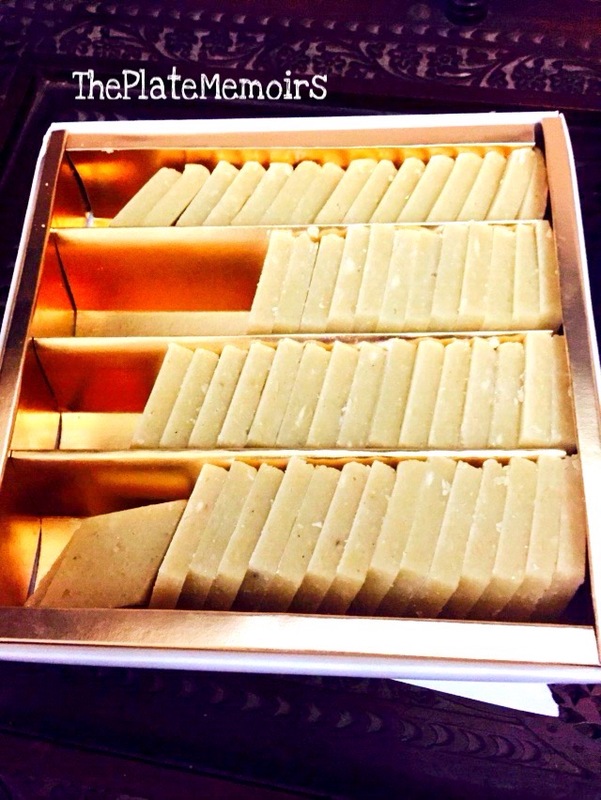 But, for now, I’m obsessed with “Handmade or Handcrafted Soaps”. I, find myself buying them every other day. 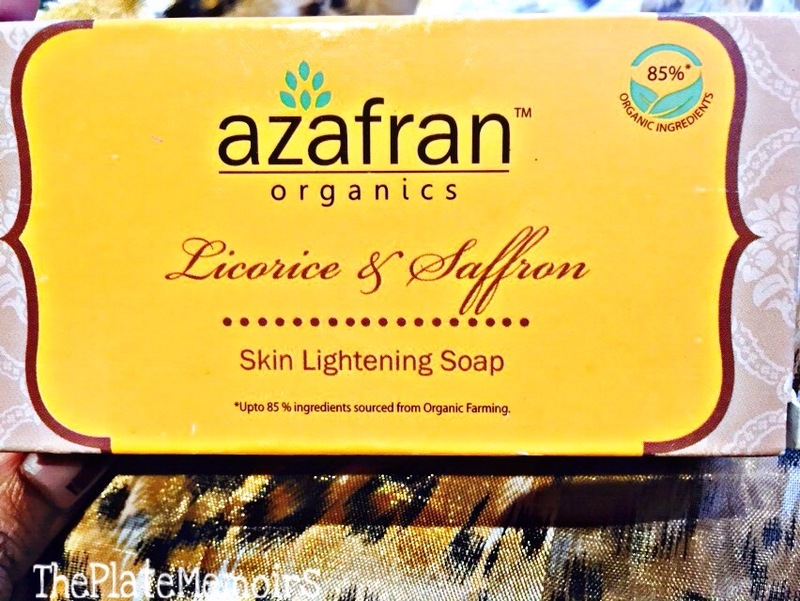 For the past few weeks i’ve been compulsive buying soap bars from ” Azafran Organics” called ” Saffron & Licorice Skin Lightening Soap”, “Neem&Haldi” & ” Rose Geranium”. Azafran Organics has a very catchy tag line ” Farm to Face”. They are an Ahmedabad based brand where they have their own organic farms that are the source of their products. The products claim to be 85% filled with organic ingredients. This particular soap bar is my favourite out of the 3 variations. Let me give you one good reason why you should consider this International organic company. Their “Skin Firming Cream” was voted as the “Best New Organic Product 2015” by the “Beauty Awards”. Oh! And did I mention that the competition was a cut throat one? The company hasn’t ever compromised on the quality of its products. It’s just organic goodness for you. What’s even better is that their organic ingredients are ECOCERT certified. Now, that’s what I call ” Cruising in style”. Ingredients: Safflower Wax, Olive Oil, Coconut Oil, Aqua, Sodium Hydroxide, Licorice Extract, Vetiver Oil, Saffron. Firstly, I have no obsession with making my skin WHITER or LIGHTER 😂 . I bought this for the exotic medley of saffron & Licorice. I was just so curious about it. Secondly, the bar is just a piece of nostalgia. This smells of red earth on a rainy day. I mean, come on now people… Who wouldn’t want that? I, could just smell this for hours. Fourthly… Ok! Now that sounds dumb.. I’m skipping the numerics after this 😁 It says that it’s a whitening bar. I dunno about whitening, but it surely made my skin even & clean. The bar lasts for 9 days if you’re gonna be using this twice a day for the face. It lasts 4-5 days if you’re gonna be using this as a bathing aid. So, it doesn’t really last for a long while. It’s handcrafted, so you can expect minor differences in each bar shape. 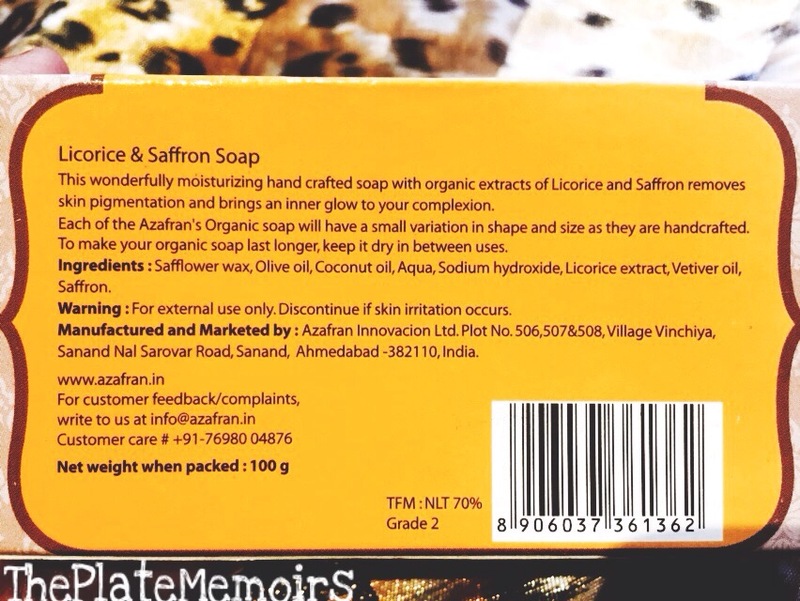 It’s priced at Rs.105/- which is a tad bit higher than normal soaps, but you need to appreciate the quality stringency. When I think of the quality, I totally think that it’s a reasonable pricing. All ingredients are ECOCERT & are organic. What we need to understand is that there is a difference between Organic & Herbal. Where herbal means just about any herb, organic is a more stringent process of choosing that herb. It must be devoid of any pesticides & chemicals to be ECOCERT certified as Organic. That’s purity at its best for you. Verdict: A total recommend and a must have for everyone concerned about the excessive use of parabens and sulfates in their products. It’s time to turn the clock backwards. 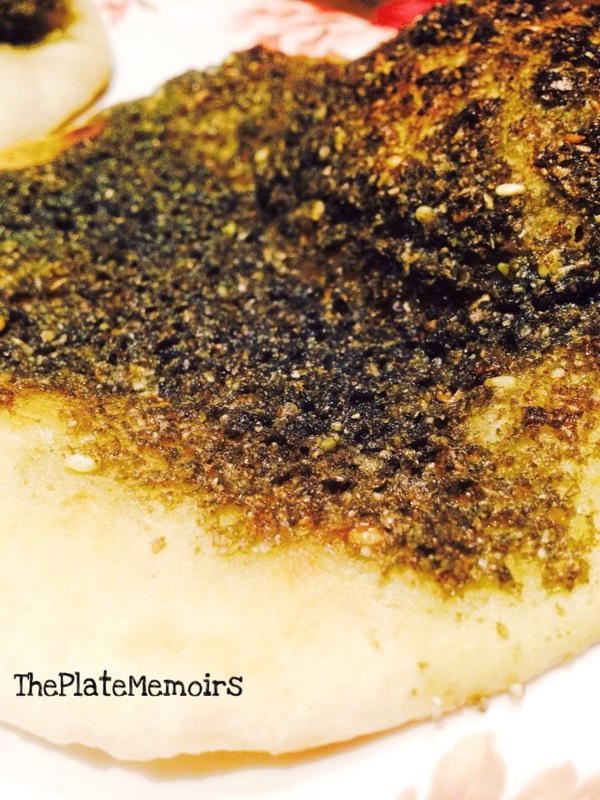 Manakish Za’atar-How It Became A Part Of Me. Uhhmm.. Well, it’s just the way I am. The first bite I take, always transports me back in time, when I’m 5 or 6 and I’m near the Al-Khobar Corniche. While the other children are going crazy on the playground, I’m staring. Staring at the water, thinking of the marine life just a few feet away from me, looking at the bright orange floating buoy& gazing at the strip of lights that are shining brightly in Baharain. I’m thinking how Al-Khobar looks to those people staring back from the little country of Baharain. And while I’m doing that, I’m mindlessly eating a Manakish Za’atar and living this moment for years to come. And just like that, Manakish Za’atar has become a part of a beautiful childhood memory & in a way, part of me. Though this is just a mezzeh, it’s a complete meal for me. I need nothing more than a Manakish to feel full. I, source my Za’atar from Saudi Arabia. Usually papa cargoes about 2 or 3 kgs every 3 months. Yes! I use a lot of it in my diet. 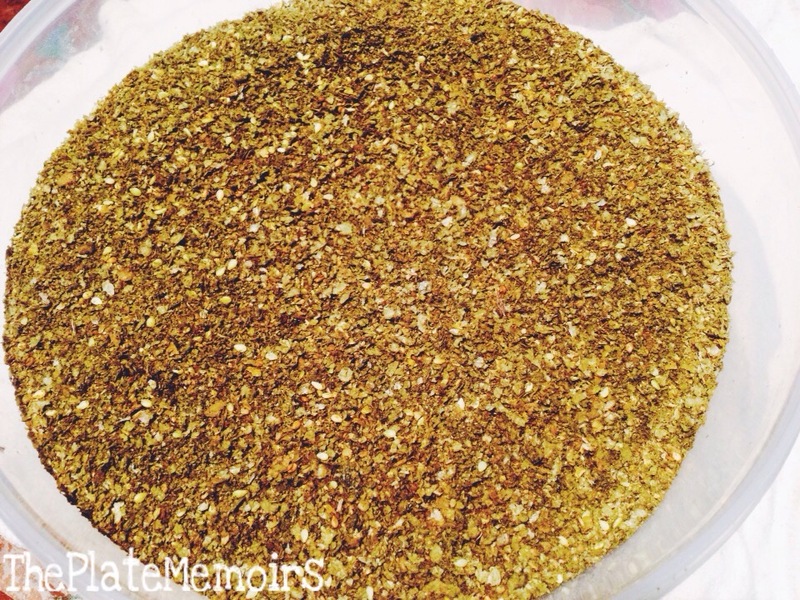 What is Za’atar & can I make it at home? Za’atar is just one of the most essential ingredients in a middle eastern household. It’s used for various things, from being an add on in labneh to being a seasoning on the grilled chicken. 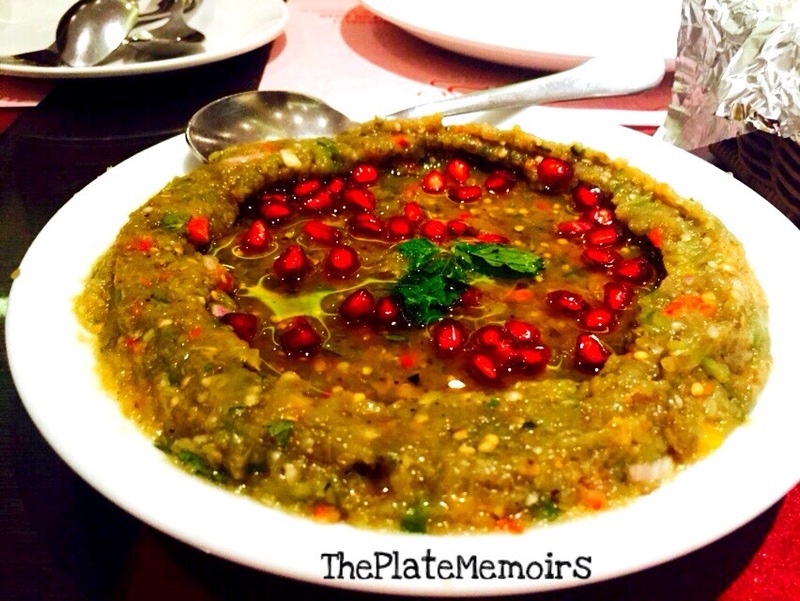 But, the most well loved of all is the Manakish. 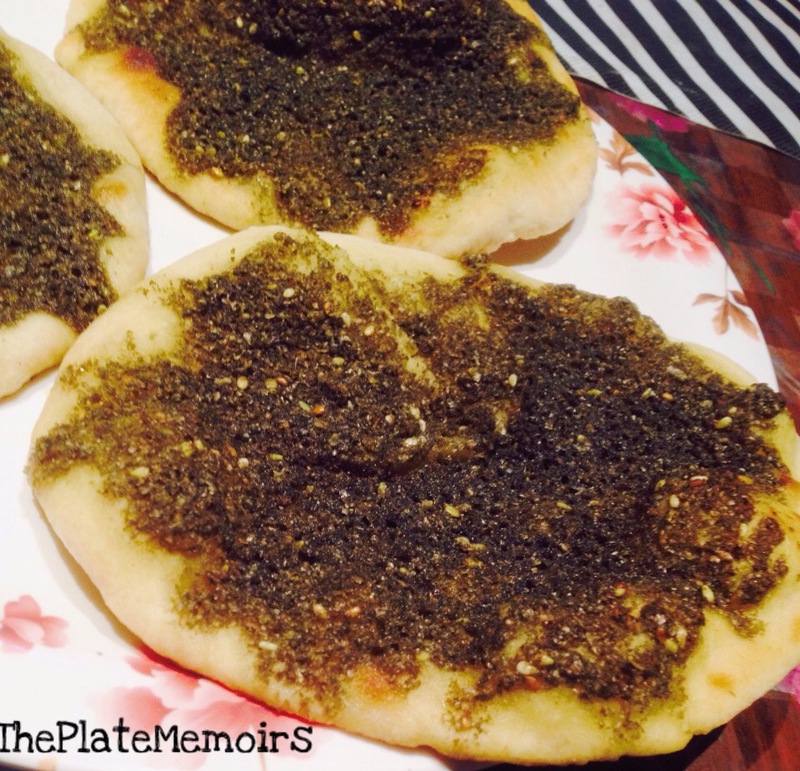 A Manakish is the flat bread on which a careful blend of Za’atar goes on, which is then baked. Whether you can make this at home, depends on what you like. When I made it at home, it was disastrous. I vowed to never make it again, because it developed a weird & unpleasant taste. Which was bitter by the way. So, if you can do it better or have a great recipe (which isn’t from the food websites) for it.. Go ahead or else you’re really better off buying the ready made mix. Here is how the Za’atar- Olive oil mix looks like. Pre heat oven at 300F for 20 minutes. Add the yeast, sugar & water together and let it froth for atleast 15 mins. Add this mix to the 3 cups of flour & mix it well, till it becomes a soft dough. After that coat the olive oil on the soft dough. Make small dough balls & roll it out. 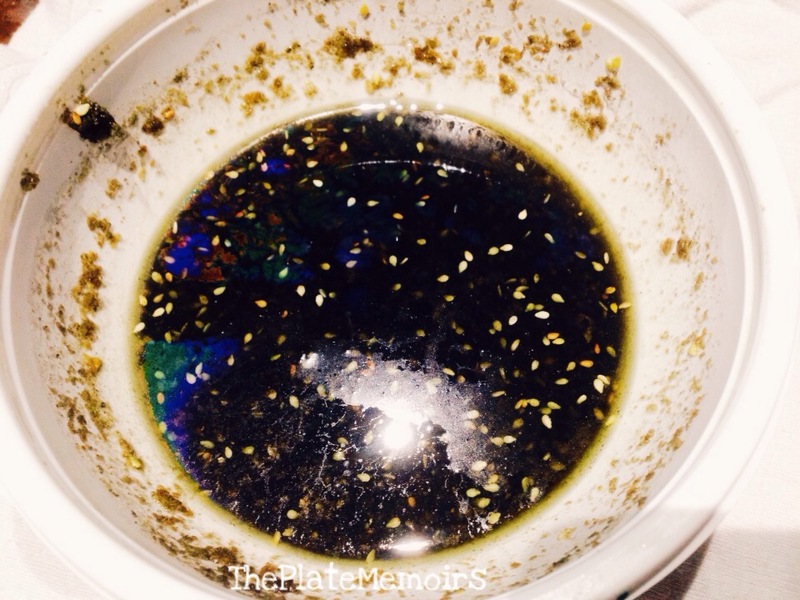 Add, one tablespoon of the Za’atar mix and put it into your baking tray. Bake at 400F for 5 or 8 minutes. 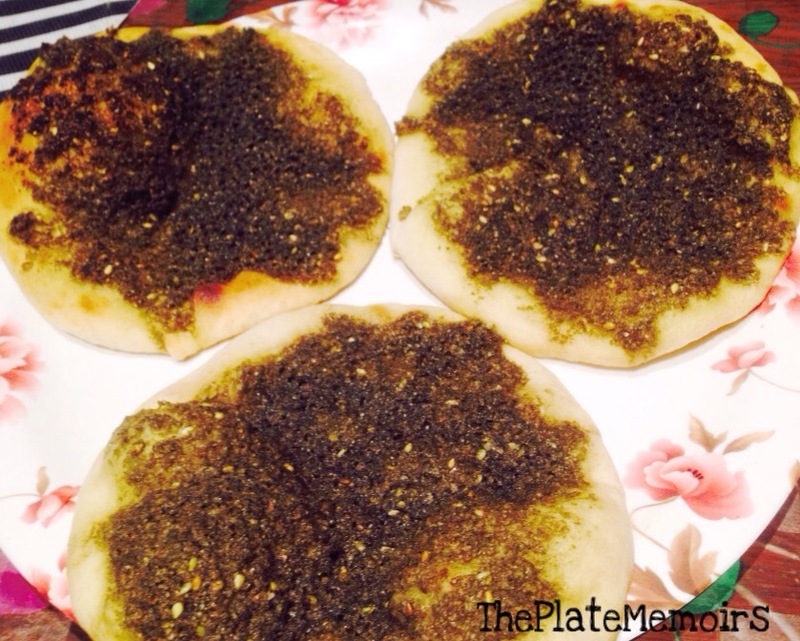 Your Manakish Za’atar is ready. 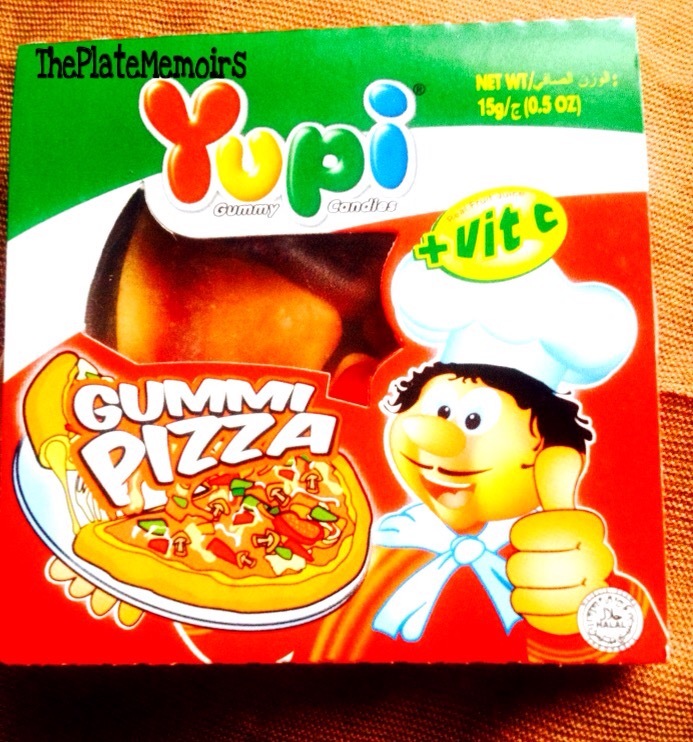 The Gelatin Question..Yupi Pizza Gummy- Product Review. Okay! This is gonna be a real quick food product review. I, couldn’t care any less about gummies. Sure, I love them, but not so much so that I would do a review on it. But, what motivated me was my son. Yep! He did.. 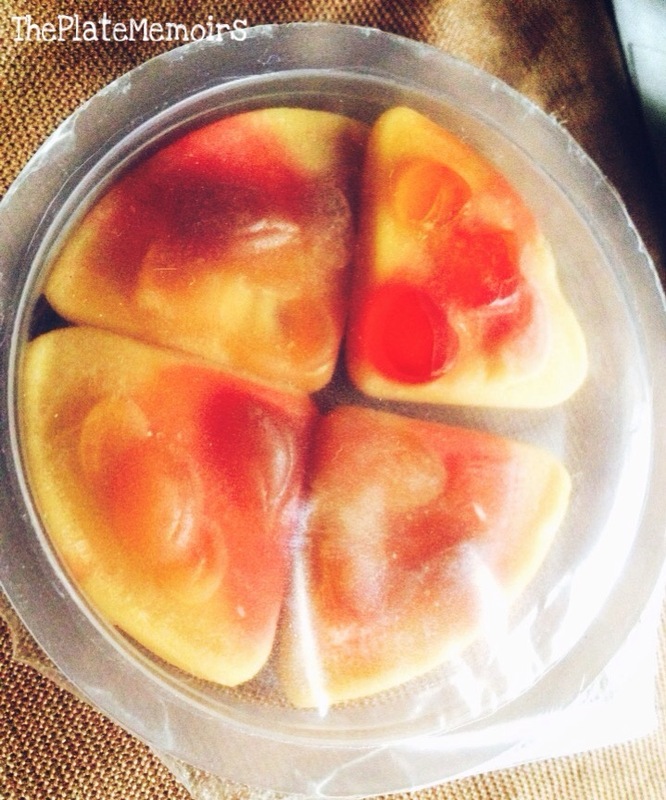 He absolutely adores these gummies by “Yupi” . Yupi is an Indonesian brand, which manufactures these really quirky candies & gummies. They have the gummy bears, gummy pizza, gummy burgers, etc. One of the most primary concern I have as a parent buying these gummies is, whether they are safe enough and what kind of gelatin source do they use. I, am on a constant lookout for vegetarian or vegan alternatives when it comes to gummies & candies. I wouldn’t bear the fact that I would be providing gelatin from an animal source to my kid. We all know how gelatin is made, so I’m gonna skip the horrendous detail part. Sometimes, our minds just work weird. There is a “Halal Certified” seal on the Yupi Products. Which, I foolishly assumed meant that the gelatin was derived from a plant source, which is known as Pectin by the way. So, to my horror I realised that I’ve been supplying gelatin in a delicious, fruity, chewy form to my child. And, it’s been a long time since I felt that horrible. The gummies do taste yum. They have this extremely chewy & smooth kinda texture. They are in fair enough replica of a pizza. Which for me was the one which made me buy this. Very inexpensive. One pack costs about Rs.20/- for 4 slices. Gelatin is one of the ingredients. During my research on gelatin, I found alot of shocking facts, which I will be putting up in a forthcoming post. Oh by the way, I found a great alternative to my son’s gummy bear addiction. It’s the vegan alternative called “Super Gummy Vitamins”. Trust me, I couldn’t be happier. The review will be up soon. Yves Saint Laurent, Touché Éclat- Product Review. 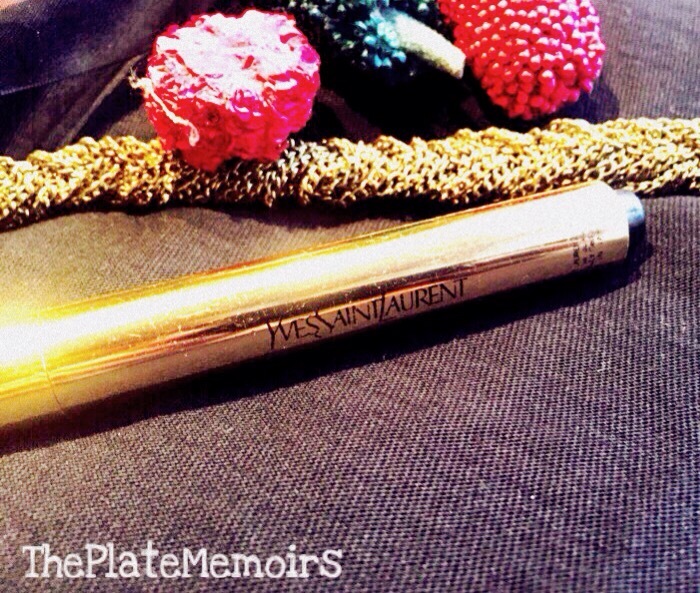 The YSL Touché Éclat! Is there anyone over here, who doesn’t know about the magic elixir packaged in a pen? Well, if you don’t then you really are missing alot of action in the beauty world. Any makeup addict, fashionista, beauty guru or a makeup artist who is worth his or her salt, will probably tell you how this product is a can’t live without. 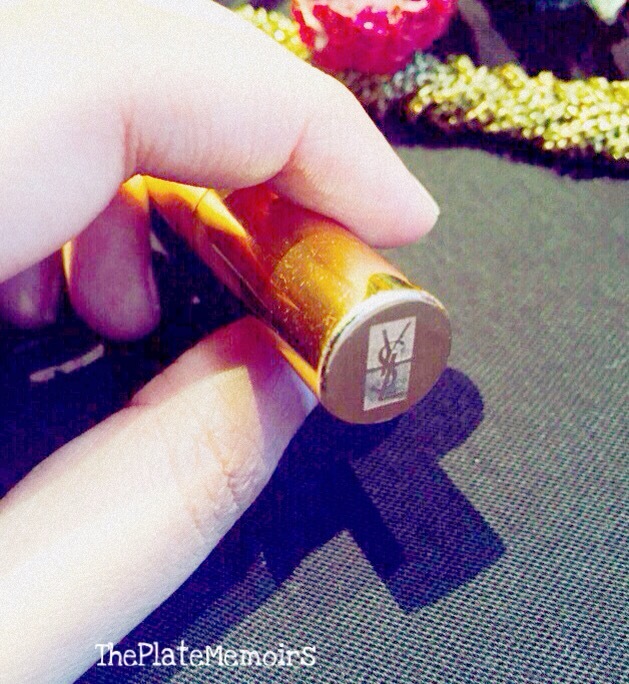 I mean, let’s just put all the hype that this YSL product has & just for a moment think about what’s going on? Why are so many people swearing by it? Why is it a must have? Why can’t I live without it? Are there any other cheaper alternatives or dupes? And lastly, do I really need it? The touché éclat is more of a statement makeup. 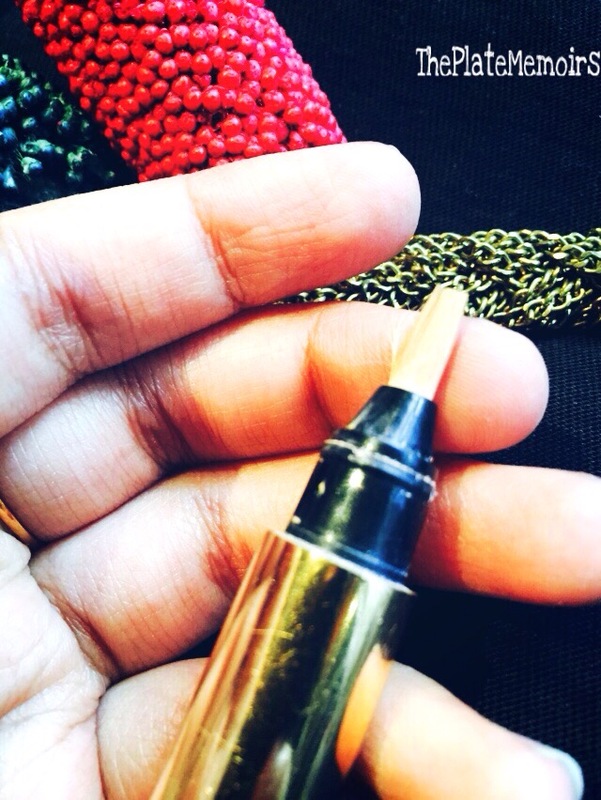 This little pen does come with bragging rights bestowed upon its owner. Somehow, the touché éclat is supposed to talk about your refined taste. 😒😒 I’m like.. Uhhmm.. Ok!! What is the Touché Éclat? Let me try to put this in the most simplest way ever. 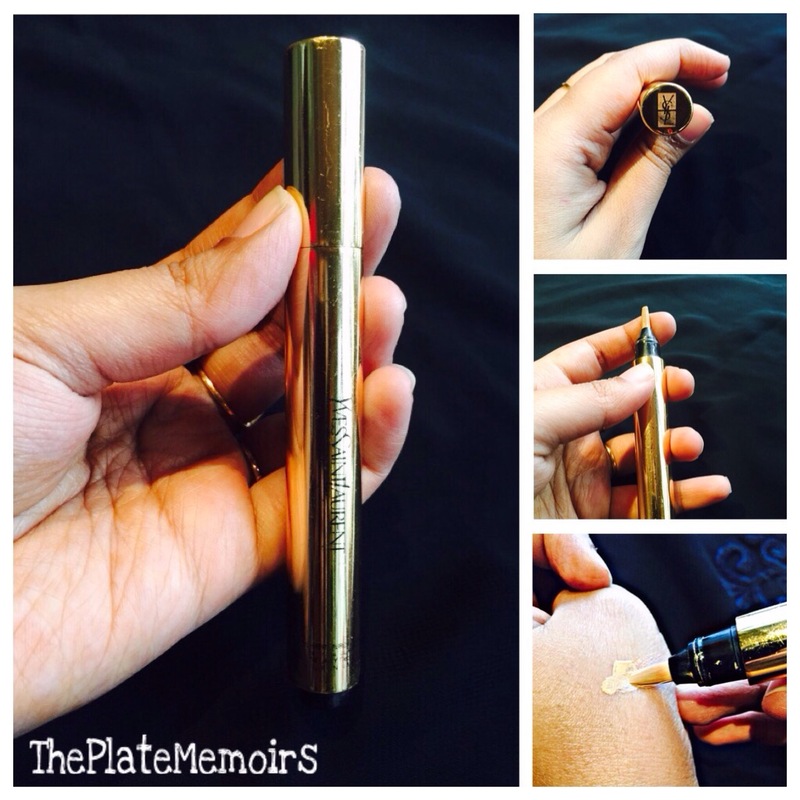 The touché éclat is the most beautifully blendable concealer, highlighter & corrector in one. Touché Éclat is the mommy of all things & mommies are always such multitasking beings. The company claims that this is a “Luminocaptide Complex”, which instantly illuminates your skin by erasing fine lines, refreshing tired looking skin & banishing fatigue. They claim that this is an 8 hour sleep in the click of a pen. What is the most important thing to remember is that, this isn’t an under eye concealer. This is used for highlighting & enhancing your features. Erasing fine lines et al. The coverage isn’t heavy & is certainly not gonna work against those heavily dark under eye circles. I, got the shade no.2 called “Luminious Ivory”, which works quite well for my skin tone. My skin tone has a pink & yellow undertone to it. So, this colour worked the best. To avoid all the disappointment that would come across, due to the improper usage. 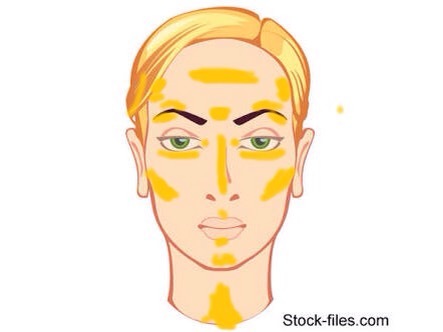 I’m gonna give you a pictorial description of highlighting & concealing. You can decide what you would like to on that particular day. After you’ve done your basic primer, foundation, compact routine. You need to highlight these areas shaded in yellow. Middle of the forehead & the temples. The gap between the brows. Just above the hollows of your cheekbones. The inner corner of your eyes. On the cupids bow & beneath your lower lip. In the hollow of your neck. That must take care of your highlighting. I don’t recommend buying this just for the sole purpose of a concealer. 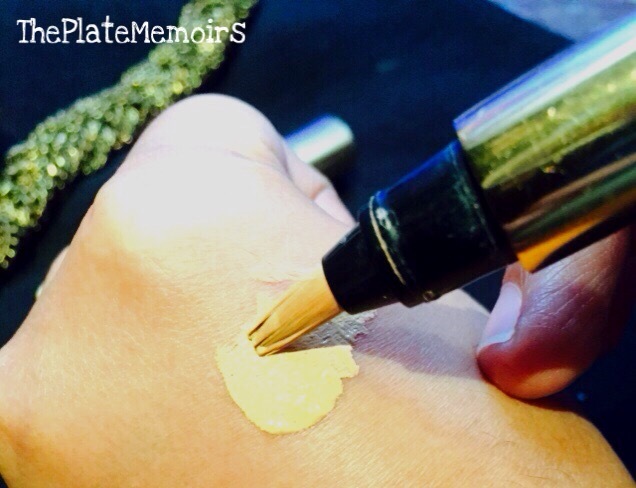 It should be used over a concealer or maybe used as a light to medium coverage concealer for those no makeup days. Here’s how you can conceal, areas shaded in yellow. Your undereyes & the cheeks. Do downward swipes & this may well be a great way to go the no makeup way. The eyelids sans the eyeshadow or as an eyeshadow base, which conceals fine lines. And you can also erase any fine smile or frown lines too. It must be used even on the corners of your nose. Now after this information, it’s really up to you to gauge the necessity of this product. It’s priced at a hefty £25 for 2.5ml and in that price you certainly will get some great cheaper alternatives, both in India & abroad. Do I like this?? Well, I’ve done 3 restocks and it runs almost forever. The lightness of this product works both as an advantage & disadvantage depending upon what techniques you’re applying. 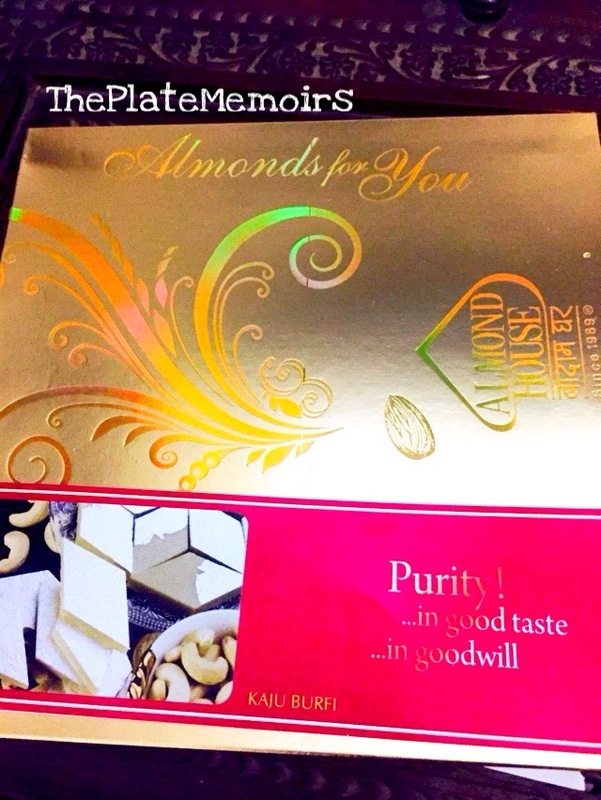 You are the best judge on how to extract the full potential of this product. As for me, YSL has me in its grip. I’ve gone on shopping hauls and shopped for everything except the touché éclat and then felt a sense of great guilt, when the other products didn’t work out that well for me. It’s been a love-hate affair from the past 4 years and well, I will say that I love it. Period. These days, I’ve been preoccupied with quite a few things on my mind & in my life. Little challenges, that I’ve been forced to face. Allhumdulilah, I really think that these little trials & tribulations are the ones that enrich us. Leaving you with a good experience on how to tackle life’s curveballs. These guys have a branch working in Jeddah, Saudi Arabia. 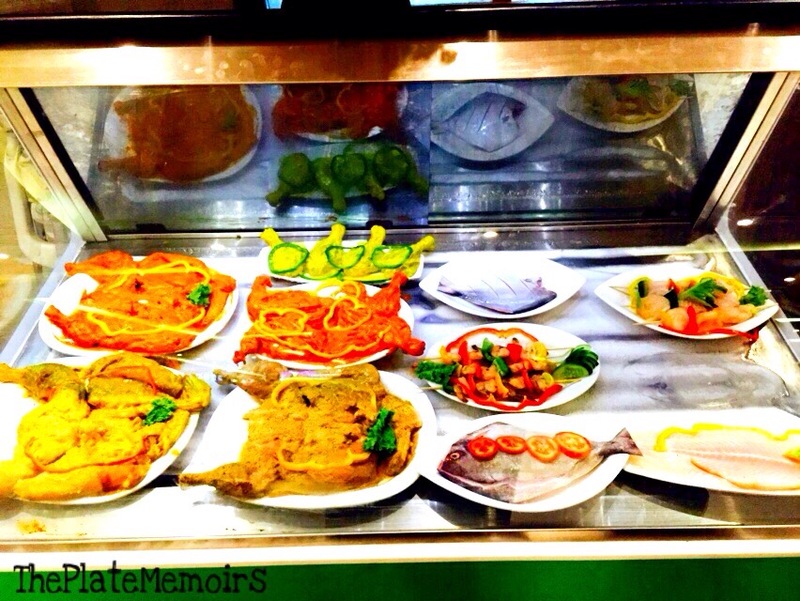 That, basically means, that they have a fair enough idea on how an authentic plate of Arabian food ought to be. 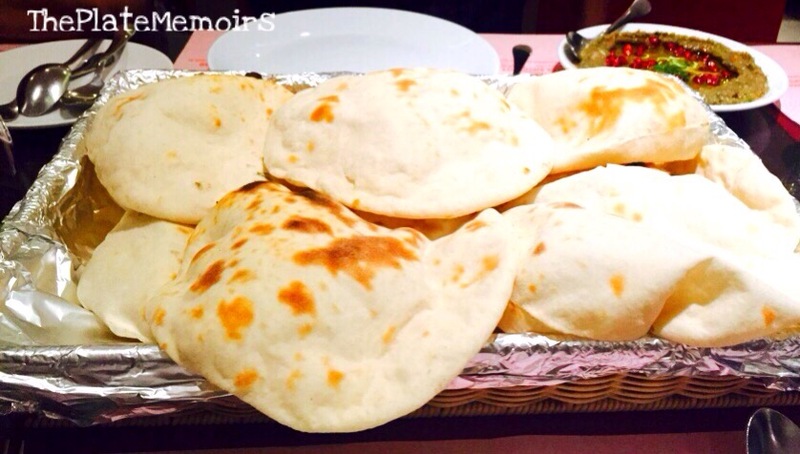 You will more often than not, find alot of Middle Eastern diners here. They clearly are enjoying their food, as I always see them leave satisfied. They also have 2 other branches working in Bangalore. The decor is a pleasing one. Just skipping on with basic necessities. They do have every that you need for a comfortable dine in. The light etching is good, nice plushy seats, compact but not chocked, the air conditioning is just right, etc. The service is pretty fine. Though the wait staff is impeccably dressed, the service can be a little lethargic at times. Once, you’re faced with excellent speeds & sometimes, even 2 or 3 calls for your order go unheard. So, it really depends upon the day I guess. 1. Mushroom Pepper Dry: Well, this always is on my list. The mushrooms here are bulbous, juicy, packed with flavour & irresistible. They used to give quite a big portion about a year back or so, now it’s considerably reduced. 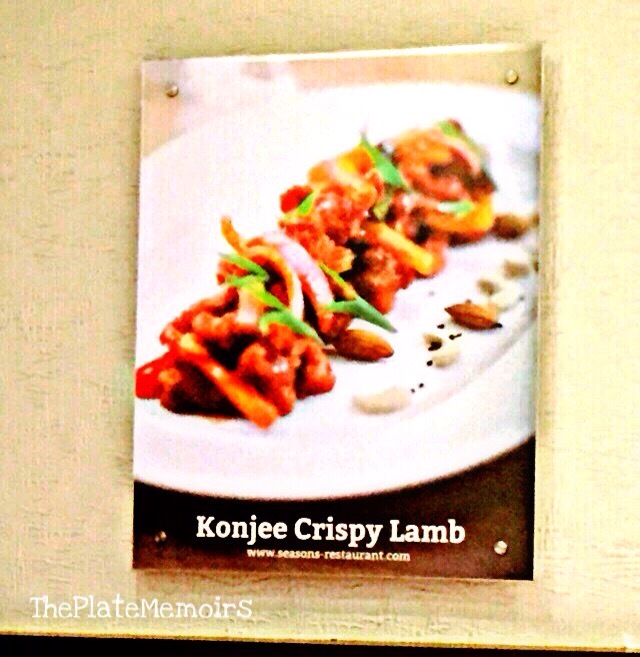 The taste though has remained consistent with a few changes. The batter is amazing, crispy, crunchy & seasoned well. The little hints of pepper that hit your palate are quite enjoyable by the way. Served with some fresh salad, it’s just so good. 2. Pita Breads: When I need some feel good pita breads, just like the way mum makes it, I look no further than at Seasons. The Pitas are soft, melt in the mouth & yeasty. Aah!! Just the way I like them to be. 3. Chicken Biryani: This is such a different one, if you’re used to heavy, rich & filled with masala kinda biryanis, then gear up. This is the complete opposite of that, the biryani is anything but rich & heavy. The sweetness of the fine long grain persists throughout the meal. The biryani is ever so light, with just the faint fragrance of the masalas playing up with your senses. Very pleasing, if you’re game for some difference. 4. 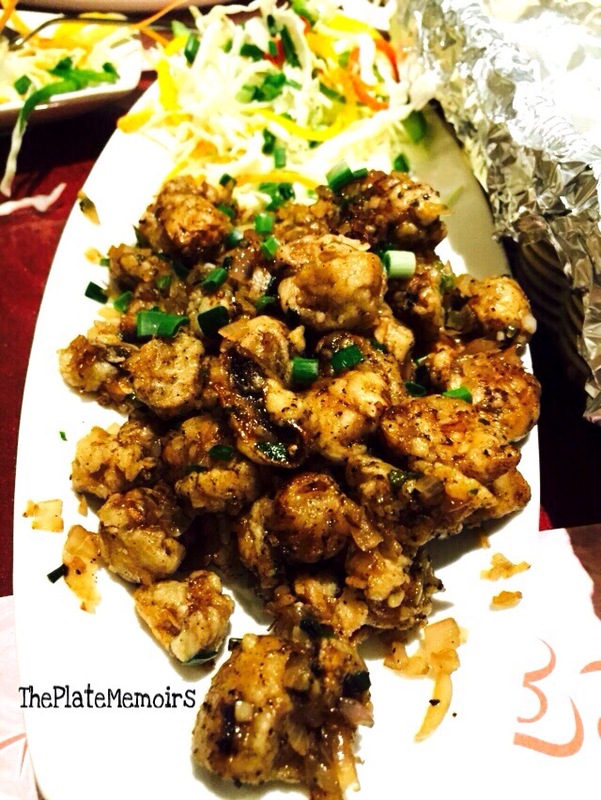 Al-Faham Chicken: What visit is ever complete without some Al faham chicken to tease your palate? 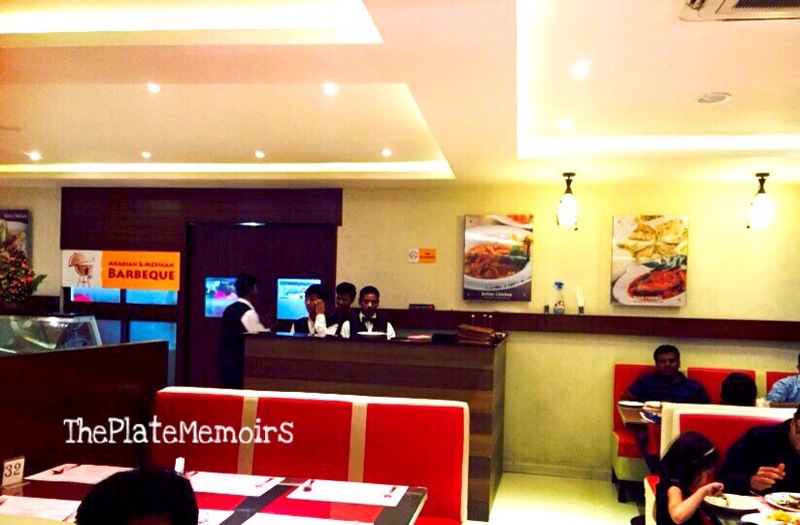 Specially if the place is, an Arabian restaurant. This dish is the one that is the benchmark of Arabian cuisine. If they can do this good, then I’m pretty sure that they can nail other dishes just fine. The chicken is marinated & seasoned just beautifully. It isn’t spicy but certainly has a little tickle when you eat it. The charring on the chicken does nothing but elevate the flavour. 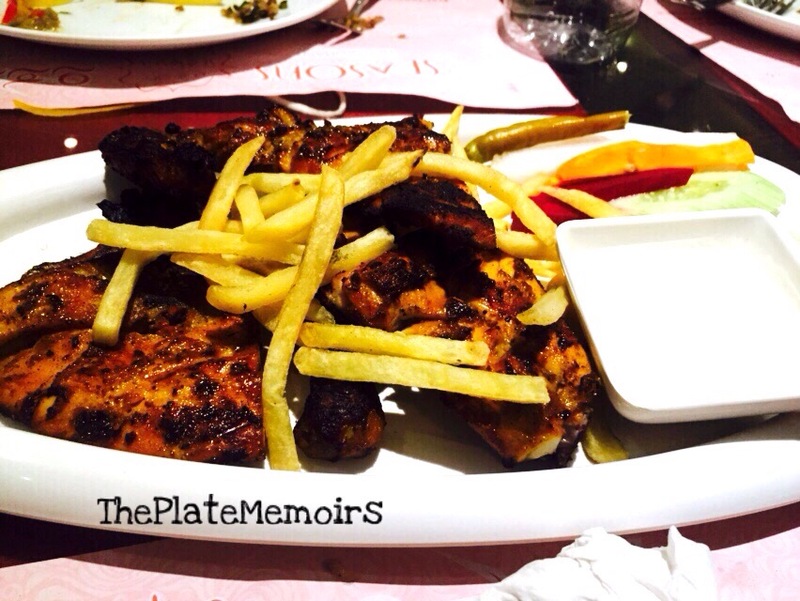 Served with toum, pita bread, salad and a portion of fries, this is just what you need to fill you up. 4. Hummus & Hummus Beiruti: It’s nothing less than amazing, when the humble chickpea dons on an avatar so refined. The hummus here is extremely creamy, grainy and filled with the right amount of acidity. 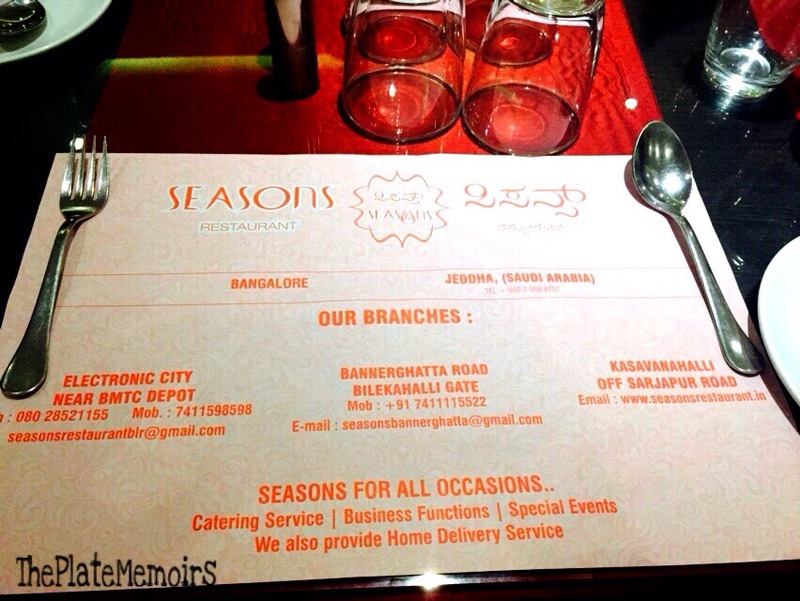 The difference between the two kinds at Seasons, is just with the garnishing. But in reality, the hummus Beiruti must be more herby in its composition. Seasons does a good enough job at its interpretation. Served with a portion of pita bread. 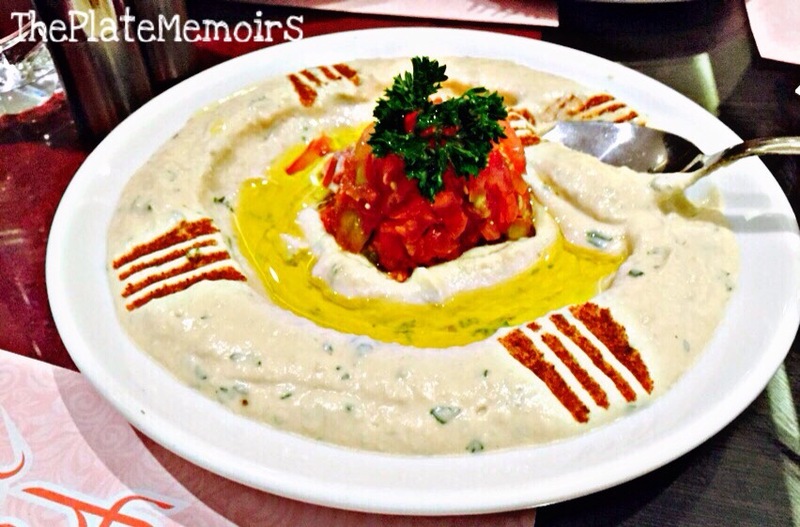 Here’s a hummus Beiruti in all its grandeur. 5. Baba Ghanoush: There are 4 things that are a staple in every Middle Eastern or a Levantine household. The baba Ghanoush served here is just so good. 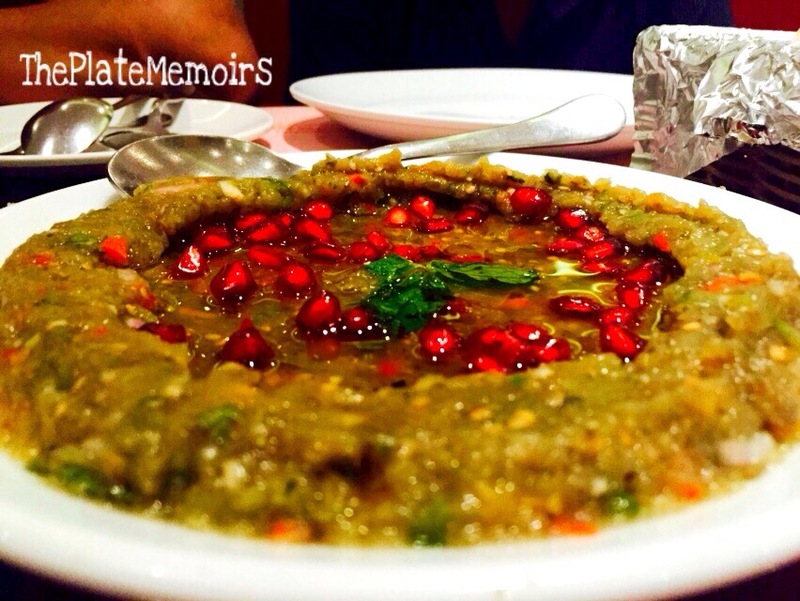 It’s packed and filled with the smokiness of that eggplant and a delectable sweetness imparted by the pomegranate seeds. The balance is just awesome. One of my favourite mezzeh. Well, these are my regulars, my favourites. 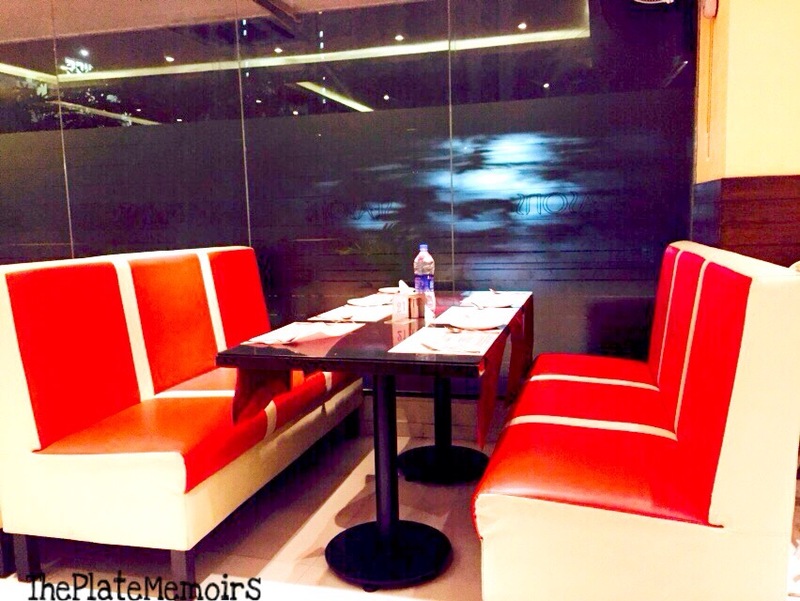 The restaurant is actually has some homey feel when it comes to food. What I mean is, they have mastered the act of simple flavouring. I, keep returning back.. The question is will you? 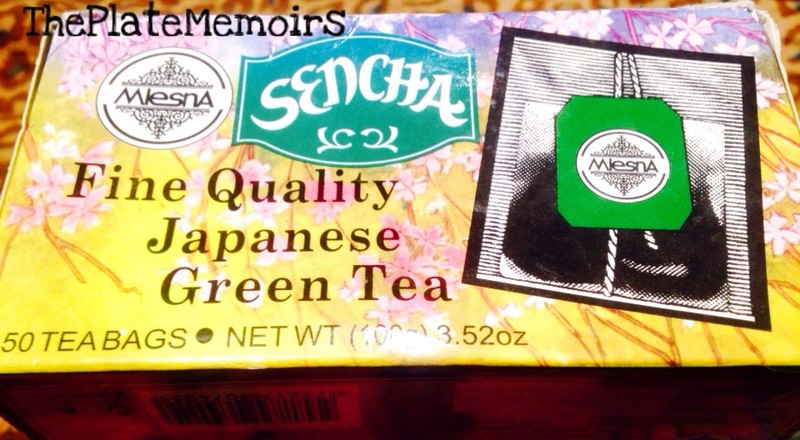 Japanese Sencha Green Tea-By Mlesna.. Review. I‘m not gonna lie, but I’ve always been pretty much in a neutral zone when it comes to Tea. While, the whole of India rocks in the passion throes of Tea, I’ve always remained numb. Thinking what could it be that makes people go crazy with this drink. Maybe this has to do with my upbringing in the Middle East, where I was more in tune with packs of Suntop and Orangina. It wasn’t until I became a proud mum, that I even thought about tea. From then, the love has just surpassed my expectations. My drink anyday & everyday is ” Green Tea”. I just love it. I prefer milk & sugarless teas, so apparently, I love black teas too. But let’s not digress. Let me talk about Green Tea to you. My favourite, hands down is the “Japanese Sencha”. The Sencha is a delicately flavoured tea, made using special techniques. The plaudits bestowed on the Japanese Sencha are nothing but the truth. The beauty of this tea is the pristine clarity obtained while drinking this. In my venture to find good Japanese Sencha, I looked no further. I found it in Mlesna. They are a SriLankan brand and every tea they produce, is par excellence. As far as I know, this brand is quite hard to find here in Bangalore. The only place I do procure this from is 1MG ROAD MALL. 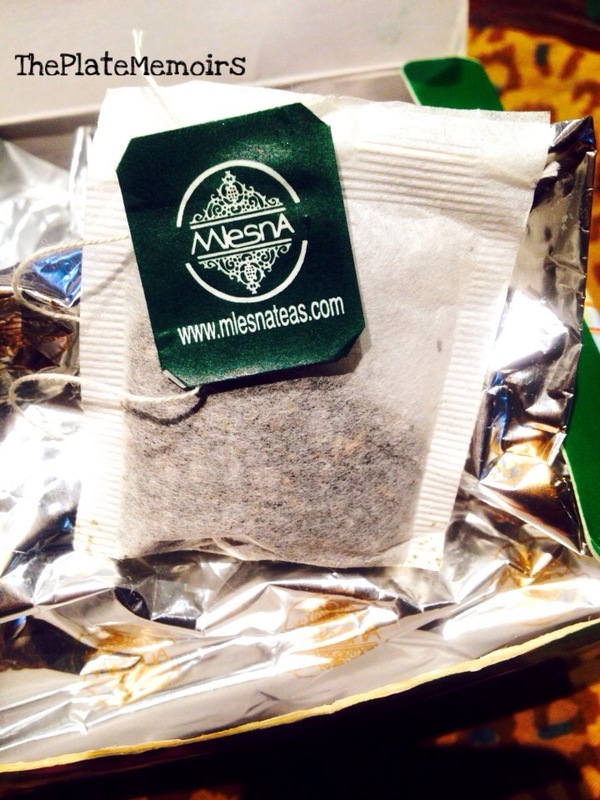 The assortment of Mlesna teas are found in the Food Court. Thankfully, they stock a nice decent collection of various teas. 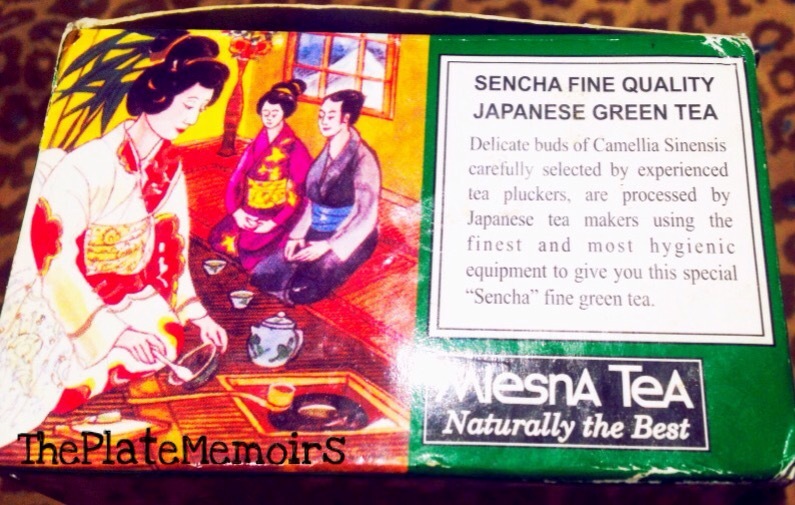 They claim this to be a fine quality Sencha tea,processed in the perfect Japanese way. The delicate buds are harvested by expert tea pluckers. What I love about this pack of green tea? Firstly,the packaging is super awesome with beautiful drawings. They are so good, I could have these drawings even framed. Secondly, the foil packaging is just great. Wish it was a ziplock one, to retain freshness. Thirdly, It’s priced at Rs.200/- for 50 teabags. So, that’s amazing value for money. And lastly, The taste is just amazing. Nice & subtle. Well, with all these awesome things packed into one, I couldn’t stop myself from a repurchase. 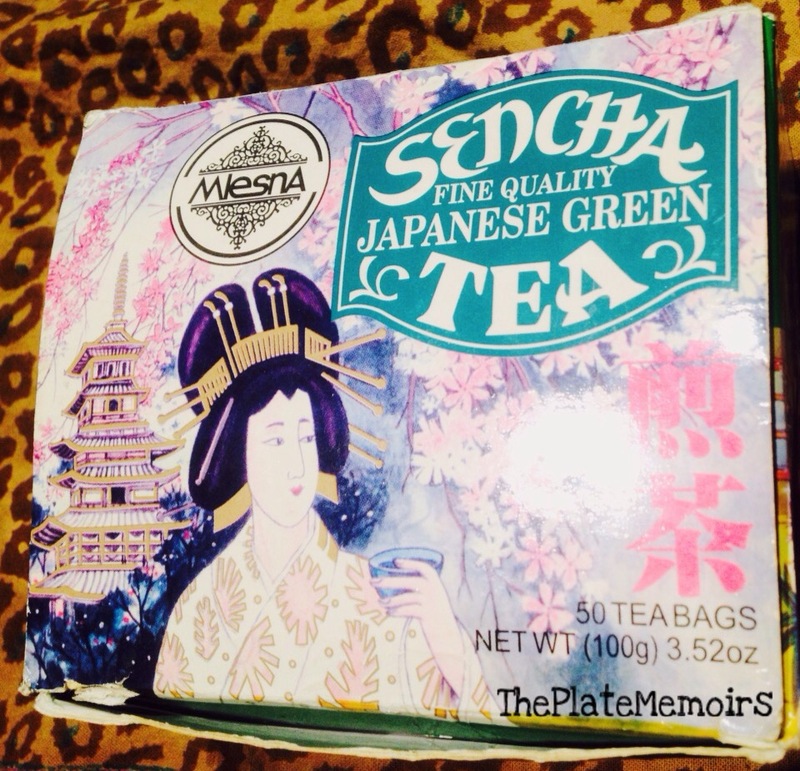 The most budget friendly, delicious & spot on pack of green tea you will ever purchase. Have you guys tried this tea? Do leave your comments. Till then, have a happy time enjoying your cuppa! I‘m actually not much of a dessert lover,apparently my sweet tooth doesn’t crave much even if it exists. But,it’s just so customary to bring back sweets from any place you go visiting. 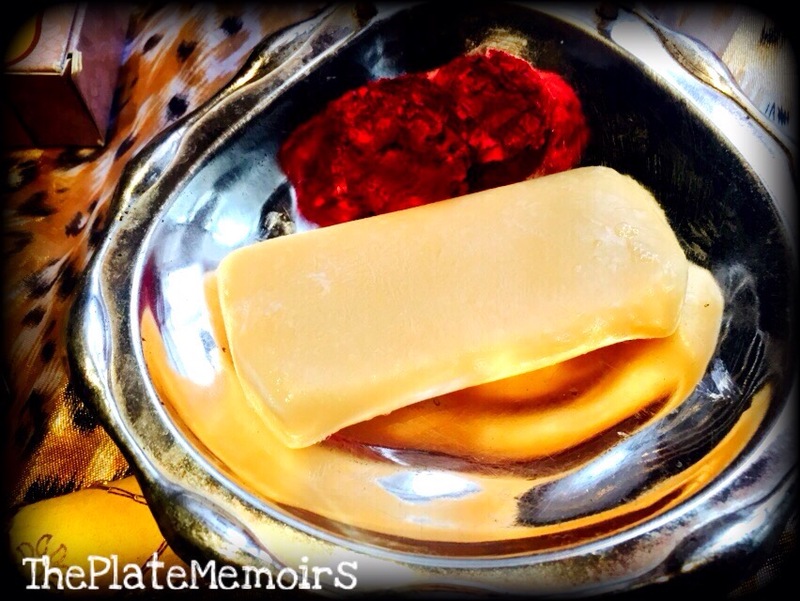 In India,the sweet culture is deeply ingrained into us. We don’t believe in flowers & fancy bouquets,we believe in desserts & fancy ornate sweet boxes. ❤️❤️ So, for the sake of it,I had a sweet haul from “Almond House”. So,here’s what i hoarded. Enjoy!! Btw,these pictures are from a previous haul done by the hubster. 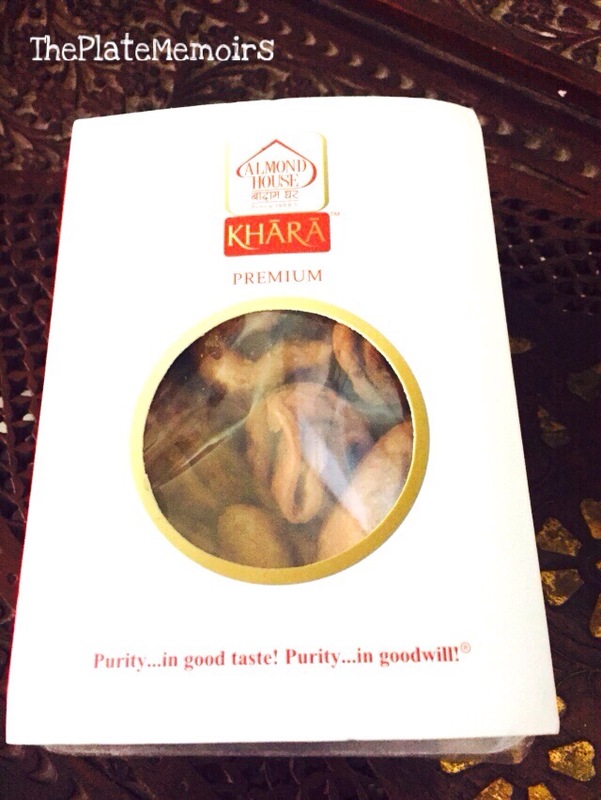 1) Khova Gujjia(Rs.180/-) : This is one Indian favourite,prevalent all over India. 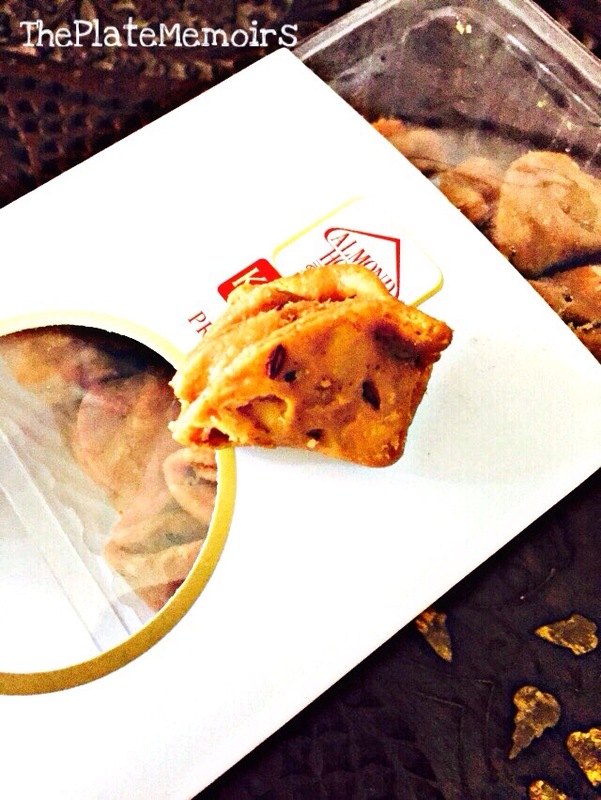 Though Gujjia is a Rajasthan native,almost every state has its version. Gujjia’s are dumplings filled with a wide variety of fillings,the most common being Khova or Khoya & dipped in a sugar syrup. 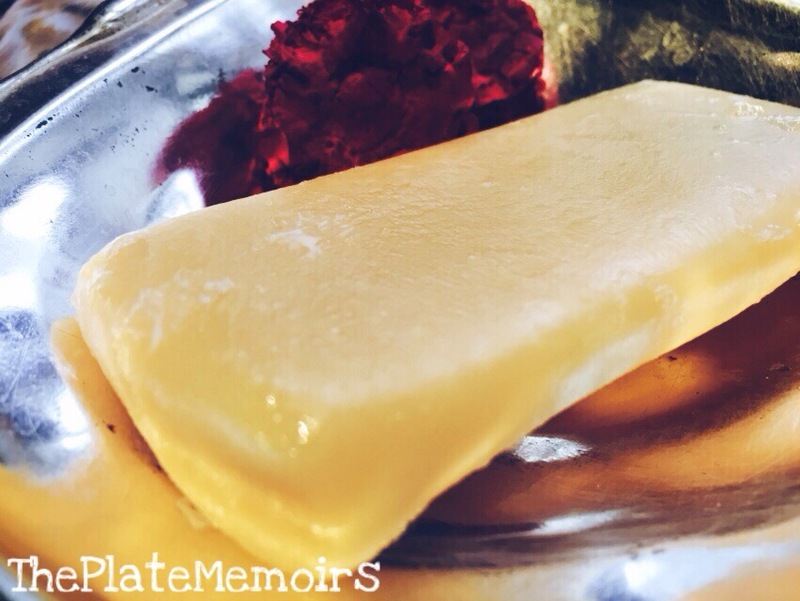 Khova is a certain kind of a dried milk cheese. This Gujjia was a tad bit too sweet for my liking. That being said,there was no doubt that it was a great eat. 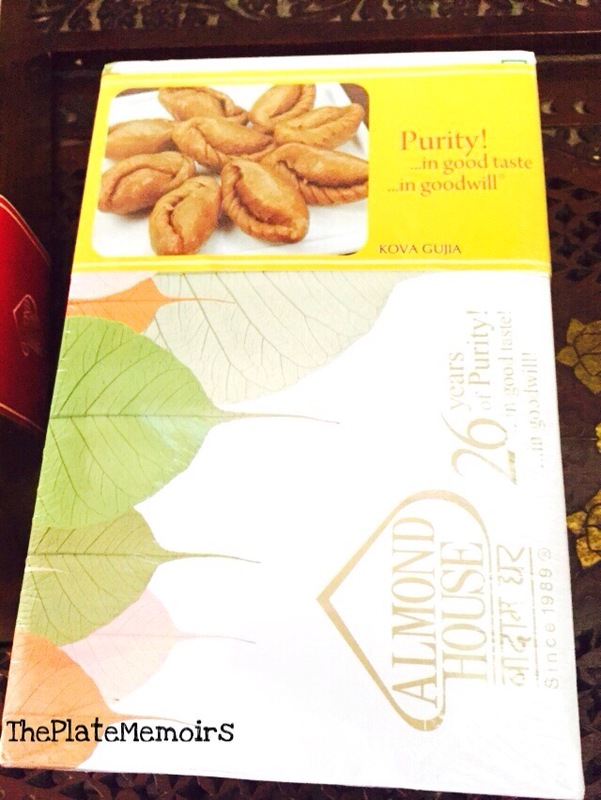 2) Bisticks (Rs.240/-) : If there’s anything that Almond House is know for then, it’s their Almond Cookies,shaped like fat little sticks. 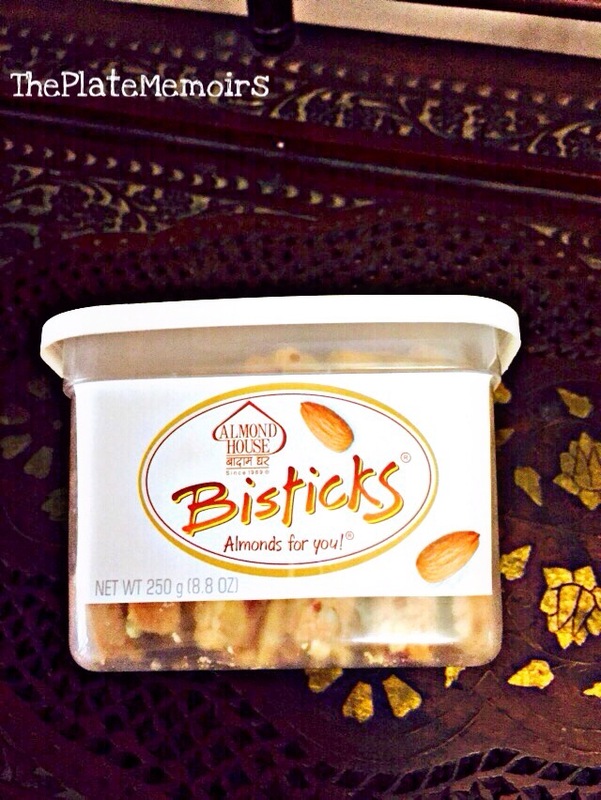 These are just absolutely delectable,they are encrusted with almonds and the cookies are just so buttery. What an indulgence this is. 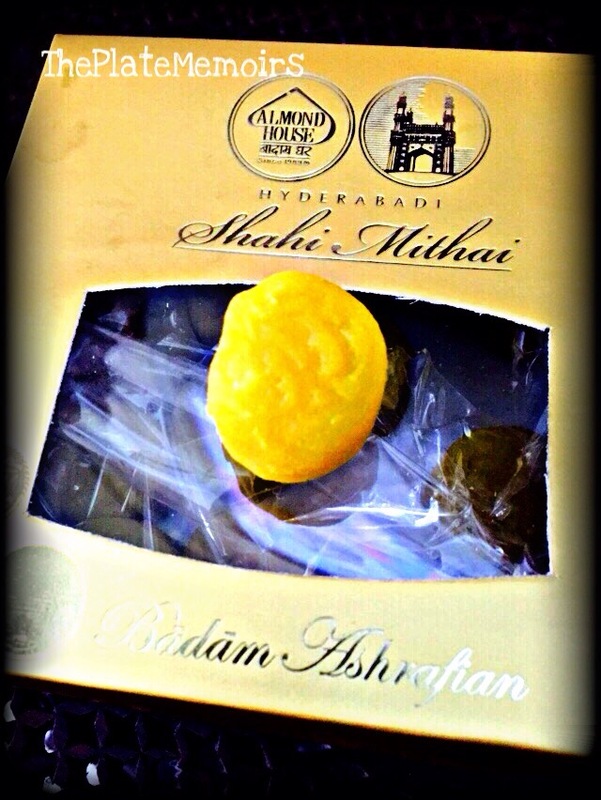 3) Shahi Mithayan,Badam Ashrafiyan (Rs.300/-): I can’t tell you how great these little yellow nuggets are. Inspired by the Gold Nuggets or Gold Coins used as currency by the Royalty in the yesteryears,these are just so good.These have been shaped as small roundels and stamped with the emblem. I found the Charminar & Arabic writings on them. At least, I believe it was that 😬😬 Made out of almond meal,sugar,generous amounts of saffron,etc.. I was pleasantly stunned at how subtle and pleasing these were to the palate. The sugar was spot on. 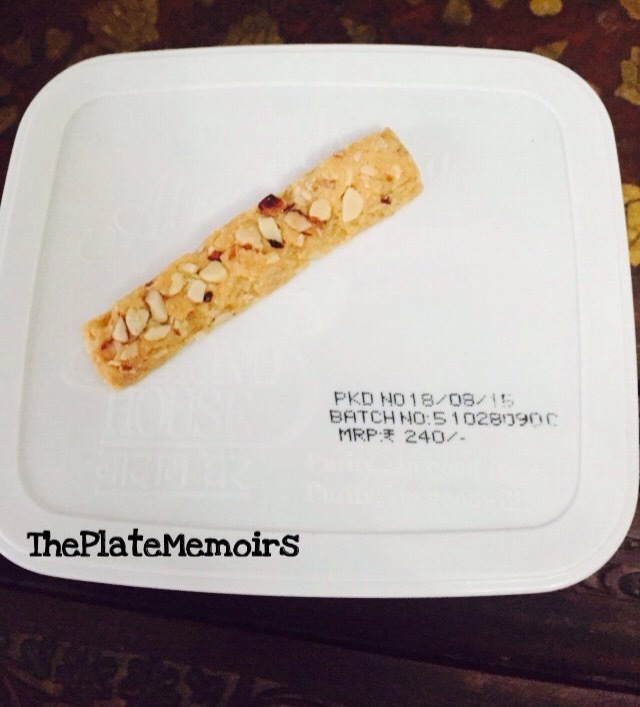 The almond meal wasn’t too fine,it was a grainy texture and I loved it. The packaging too was such an eye pleaser.Must have if you visit. 4) Jeera Matri: A delicious blend of flour,cumin & spices rolled,shaped & fried in oil. Though that sounds simple,it’s pure amazeballs. These are savoury snacks,usually eaten during tea breaks & enjoyed throughout the day. 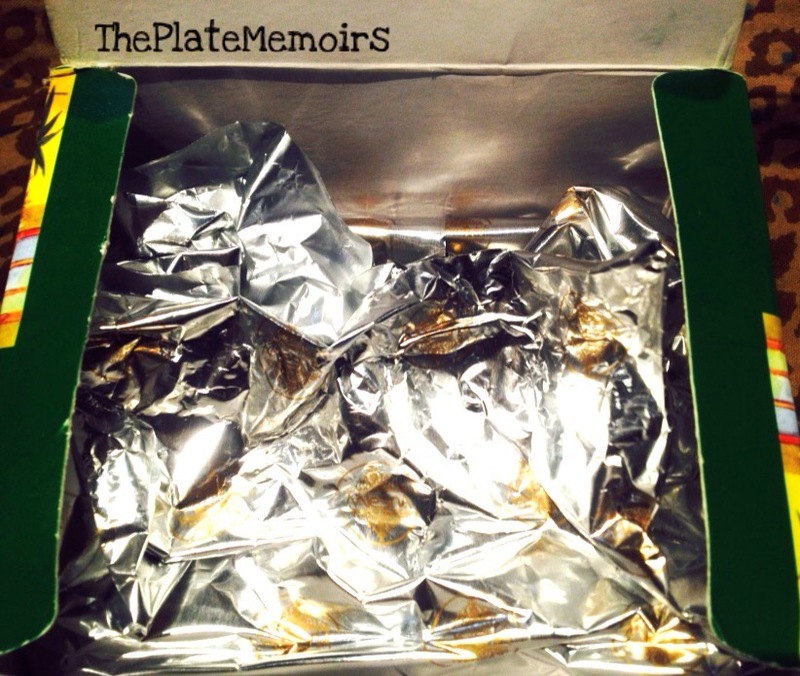 5) Kaju Burfi (Rs.800/-) : Also known as Kaju Katli,these are a blend of Cashewnut meal,sugar,cardamom etc. These are cut into perfect diamonds,coated with silver foils & are another Indian favourite. As for me,I despise it.. 😒😒 I’ve never liked it,it seems very weird. I know all the Kaju Burfi Fans will have bags full of tomatoes ready to be thrown at me. Alas! I just hate it.. But from what I heard about these,everyone loved it,telling how soft & smooth they were. 6) Pista Badam Roll : Made outta Almond meal and filled with pistachios were another among the favourites. Another sweet,which I despise. 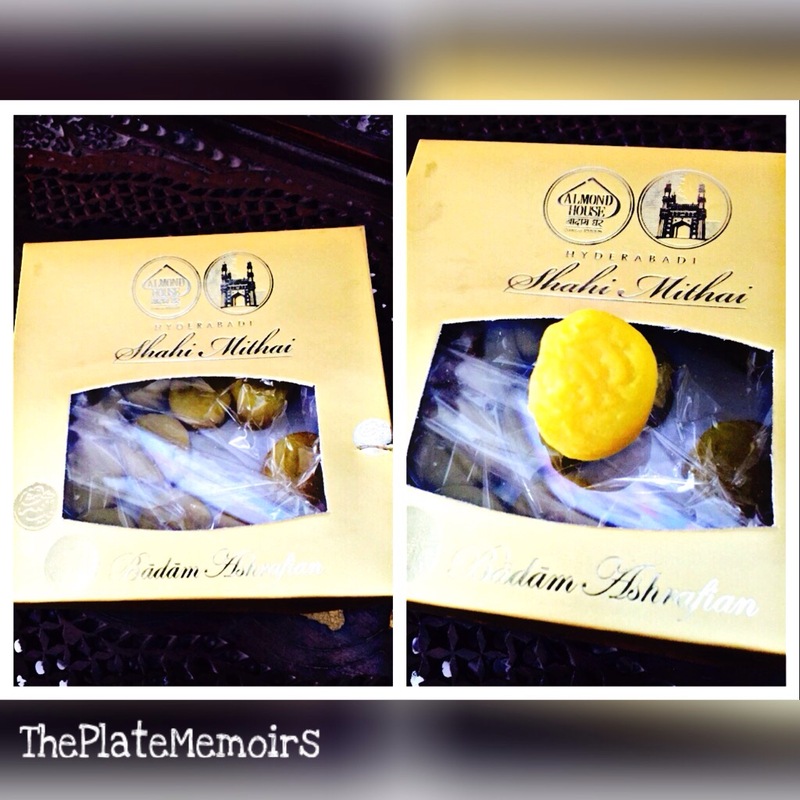 It’s pretty much the same taste as Kaju Burfi with the pistachios rolled in 😳😳 Save Me!! Unfortunately,I don’t have those pics but again this was another lip smacking dessert for the family. Yep!! That’s how my sweet haul went on,I had fun shopping these stuffs. What I also did was the gift shopping in the lane connecting to the Charminar. Hoarders heaven!! Loadsa fun there,but it’s always great to be back to the comfort of your caring home.